Dropping Jamie Vardy was a ballsy move from a manager not renowned for making them. Claude Puel insisted it had nothing to with reports of a pre-match bust-up and on Friday he was at pains to stress that Vardy would not be sanctioned after appearing to call his boss a ‘f***ing k***head’ in the wake of the defeat to Manchester United. Regardless of whether or not you take Puel at face value, it was a huge gamble on the part of a manager who has already run out chips in the eyes of many Leicester supporters. The winner? Aside from Spurs, no one. 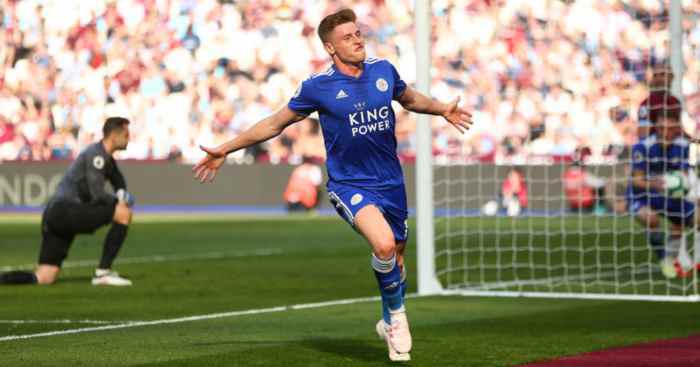 Leicester fell to a fifth defeat in seven matches, with the Foxes missing Vardy in his absence and Puel cursing the striker after his introduction. There was no disgrace in the visitors’ performance – you could reasonably argue on the balance of play that they deserved a point and Youri Tielemans showed glimpses of great promise – but Puel’s experiment certainly did not produce the results he might have hoped. The ‘different option’ Puel looked at was Demarai Gray but, through the middle, the winger was a fish out of water. The 22-year-old managed only a single touch in the box during the first half and only one other – in the centre-circle – within the width of the penalty area in the Spurs half. The Leicester coaching staff presumably identified this lack of central presence because Gray had two opportunities early in the second half. One turn and drive straight at Hugo Lloris, and one glorious headed opportunity, the waste of which only intensified the fans’ clamour for Vardy. 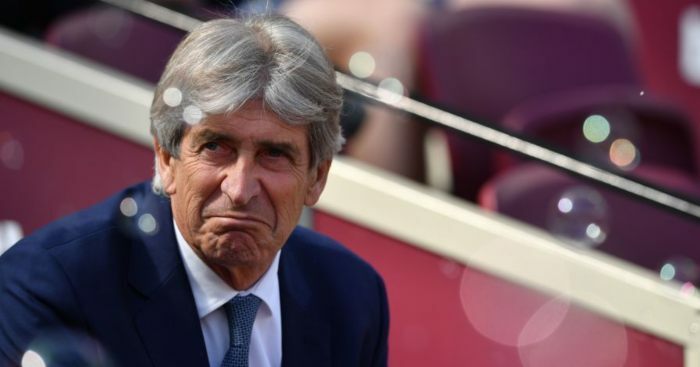 A more stubborn manager might have stood firm, while one even more determined to make a point to Vardy could have turned to Shinji Okazaki or Kelechi Iheanacho, who also sat alongside the former England striker on the bench. But Puel was not so churlish and with just under an hour played, Vardy was stripped and ready to go. But instead of being rewarded for his willingness to right a wrong, Puel’s was immediately cursing his timing. The break in play to allow Vardy to make his entrance came upon Jan Vertonghen’s foul on James Maddison in the Spurs box. With a penalty between Leicester and an equaliser and their taker ready on the sidelines, Puel had little option other than to hand Vardy the swiftest opportunity to highlight the dubious nature of the manager’s big call. Not sure I’ve seen that before. Huge ask for a player to come straight on and take a penalty. 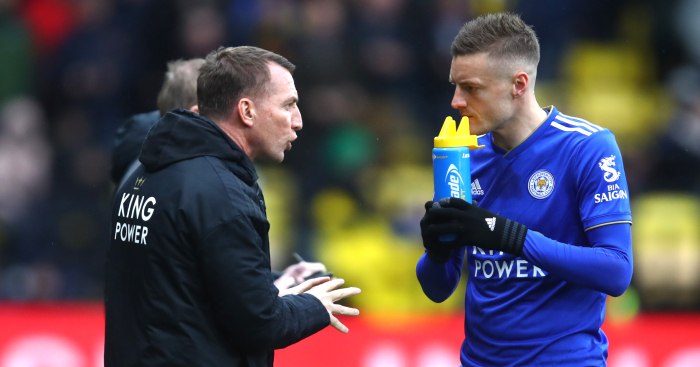 Delaying the substitution or denying Vardy, who had scored his previous seven spot-kicks, the strike in favour in Maddison, who missed his previous attempt, would have infuriated the Leicester players and supporters further. At least Vardy’s miss spared Puel their ire, even if the striker’s embarrassment also contributed to the Foxes’ eventual downfall. Vardy did find the net, but only after Christian Eriksen had doubled Leicester’s deficit within four minutes of Lloris’s penalty save. The substitute also stretched a Tottenham defence which already appeared at breaking point, leading the visitors’ valiant attempt to claw back a draw which was eventually ended when Son Heung-min seized upon Wilfried Ndidi’s late slip as the Foxes poured forward. Leicester fans returning from Wembley might feel hard done by, especially in light of Puel’s punt. 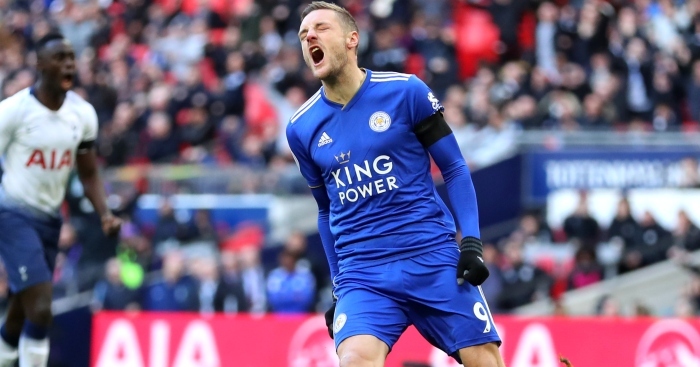 How Leicester needed Vardy’s finishing during the opening hour, even if the 32-year-old was not suitably prepared to take the biggest opportunity when it was literally handed to him. Puel hardly has credit to burn with Leicester fans. 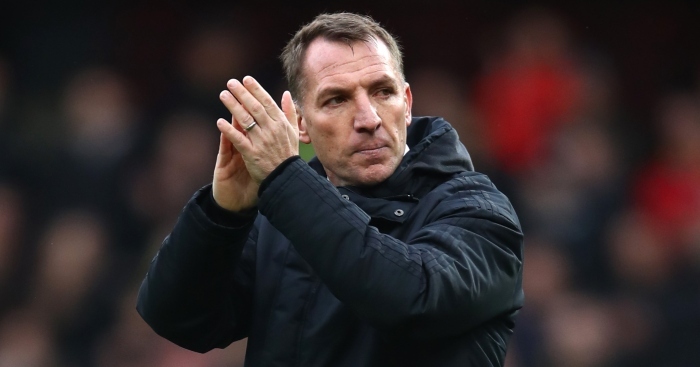 His first full season has drifted, with the Foxes bobbing up and down around mid-table between seventh – roughly where many believe to be their rightful position – and 12th, where they currently languish. With little panic and even less excitement in the Premier League, Foxes fans still struggle to fathom Puel’s refusal to take either of the domestic cup competitions seriously. Puel might point out that this is a time of transition at the King Power Stadium and his selection at Wembley was another attempt to highlight that. Vardy sat on the bench alongside Danny Simpson, Wes Morgan and Okazaki – all heroes of Leicester’s incredible title triumph two and a half years ago – while Tielemans became the eighth player aged 22 or under to start under Puel this season. The Frenchman has given youth more opportunity than any other manager this term. But it is the manner in which he has tried to phase out more senior personalities, players forever revered in Leicester, which most likely will cost Puel. All the evidence says Vardy has had enough of the manager, while Puel’s team selection today was greeted by the failure of his captain’s dad to hide his contempt for the manager. 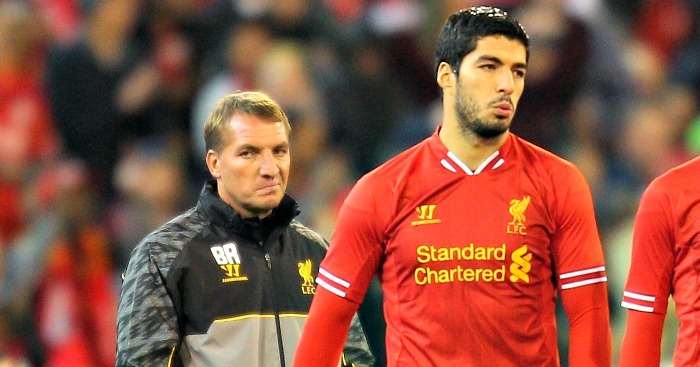 “They just don’t have the manager to get the best out of the team,” said Peter Schmeichel. Puel was not undermined by his players’ graft at Wembley but this is not the first time many in this squad have seen off a manager. Perhaps scalded by the criticism which followed Claudio Ranieri’s sacking months after he guided the players to the greatest achievement of their lives, the dissenters have developed more subtlety. It may not be evident in their running and their tackling, but Puel is certainly struggling to motivate too many in his dressing room, all the while failing to excite those on the terraces. Indeed, it seems most likely that Leicester will indeed look at ‘other options’ in the summer. But not the kind Puel had in mind. 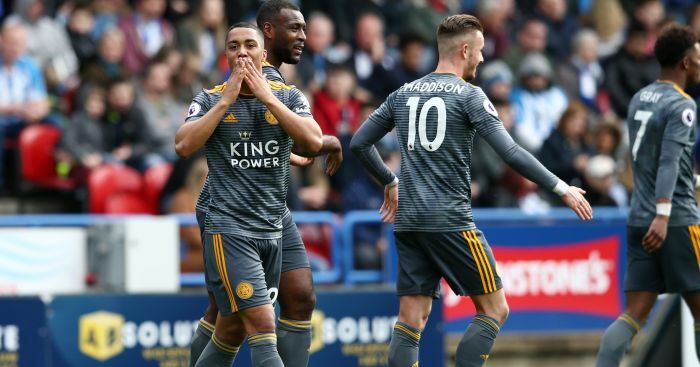 Jamie Vardy scored twice as Leicester City beat already-relegated Huddersfield on Saturday afternoon. "It will be a club appointment but it is important the manager is involved."